Pune is a sprawling city where over 34 lakhs Punekars lives there. The city which always welcomes innovation and encourages technology influencers. 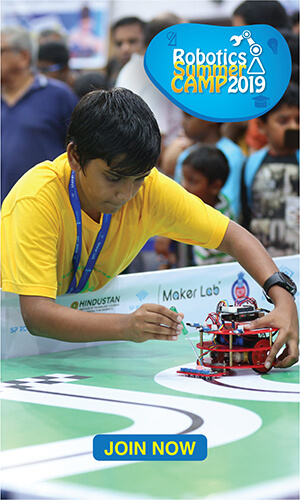 Here is where Mr. Sandeep and Mrs. Omana Nair from SP Robotics Maker Lab - Kharadi comes into the play. This lovely couple from Pune loved the concept of having Roadeo - India's First Traffic Robot in their city after seeing the huge success for deploying Roadeo in Chennai by SP Robotics Maker Lab - Chennai students. 1. 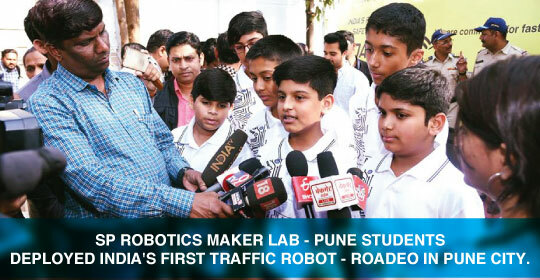 Hi Sandeep, can you tell us the story behind the launch of Roadeo - India's First Traffic Robot in Pune? We planned a lot before the launch. We connected with DCP Smt. Tejaswi Satpute for explaining the overall concept of Roadeo and what we intend to do. She really liked it and remarkably happy to launch Roadeo in Pune city. That was an extremely overwhelming moment for us. Such a great initiative from your end. A special thanks to you Mr. Sandeep. 2. Any special moments that happened during the event? Of course yes, we were recognized by the idea of students wearing the T.shirt stating "I'M A MAKER" by the Pune Commissioner of Police. The Commissioner was, in fact, glad that we have translated the idea to the reality. 3. How do you think Roadeo will be benefiting the Pune city? Human health is more important than anything. We hope Roadeo - India's First Traffic Robot will help the Traffic Police during adverse weather condition. Roadeo actually becomes more of a celebrity now. The Pune Commissioner of Police also gave us permission to take Roadeo - India's First Traffic Robot to the schools like Bishop's Kalyani Nagar, Bishop's Camp, DAV schoola and Abhinav school for transfering knowledge to the students about road safety and the importance of Roadeo in Pune city. 4. How many days does it take for you people to build the Roadeo - India's First Traffic Robot? We took around 2 months for us to build Roadeo - India's First Traffic Robot. We were a team of 15 members. Half of us were working on the programming and the other half were into the mechanical side. We really had a great time working with the other SP Robotics Maker Lab students. It's like we were a team. We as a team learned a lot from working on real projects and would love to do more in the future for benefiting the society. 5. Any additional feature that can be added? We can add a camera to the Roadeo which can detect the violation of the traffic rules. At present Roadeo is in Manual mode, we can enhance it to the automatic mode for helping the Traffic Police. That's a great initiative guys. We will be expecting more projects from your end. 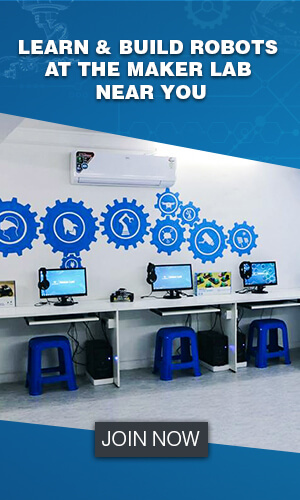 We would love to thank all the Partners from SP Robotics Maker Lab - Pune for making the dream come true in Pune city. Cheers to you all! !